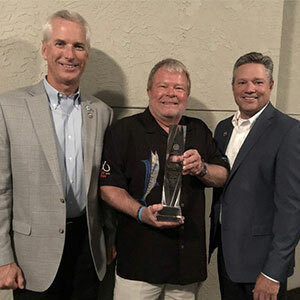 Dave Bulthuis, Vice President of Industry Relations and Government Affairs for Costa Sunglasses, received the Lifetime Achievement Award from the American Sportfishing Association (ASA) during the organization’s annual summit on October 11. Bulthuis was honored with the ASA’s most prestigious award, recognizing his extraordinary leadership and lifelong commitment to recreational fishing and the sportfishing industry. Throughout his career, Bulthuis has always been devoted to the sportfishing industry, serving on ASA’s board of directors for eight years, including as Chairman of the Board from 2015 through 2016. Bulthuis has been with Costa since 2003, where he began his career with the organization as Vice President of Sales. Prior to joining Costa, Bulthuis served as Director of Sales for several brands in the outdoor industry, including Cape Fear Rod Company, Jones and Company and various independent rep groups. For more information visit costadelmar.com.